The first of 22,000 spent nuclear submarine fuel rods arrived Wednesday at the Mayak reprocessing facility in the Ural Mountains after traversing thousands of kilometers by water and rail from the Russian Arctic. The spent fuel comes from Andreyeva Bay, a Cold War nuclear junkyard fraught with radioactive leaks located just 55 kilometers from the Norwegian border. Since the 1980s Andreyeva Bay has been a worry to Moscow and the West alike. 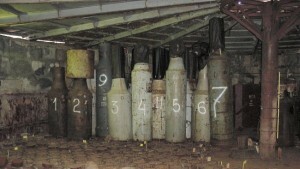 After the fall of the Soviet Union, Bellona and the Norwegian government led the charge to call for a cleanup of the submarine maintenance yard. On June 27, their efforts yielded success when a ship called the Rossita sailed away with the first of some 50 loads of spent nuclear fuel bound for Murmansk. Once there, the fuel was transferred to a train and shipped 3000 kilometers to the Mayak Chemical Combine in the Chelyabinsk region. 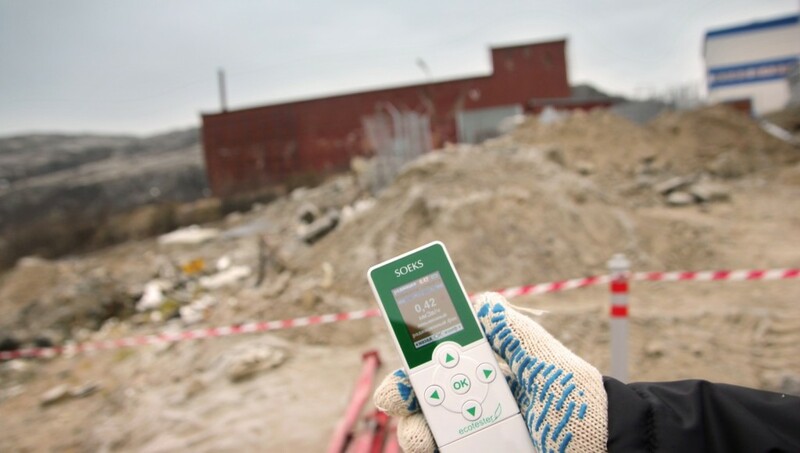 The removal is being funded by the Northern Dimensions Environmental Partnership, an enormous Russian nuclear cleanup fund managed by the European Bank of Reconstruction and Development. The cleanup follows on a 2007 mechanism worked out by Russian state nuclear corporation Rosatom to decommission and rehabilitate sites formerly operated by Russia’s nuclear navy. Grigoriev said that removing the remaining fuel from two large storage tanks at Andreyeva Bay would take the next five years. Another tank, which holds fuel rods that were damaged and are hard to remove, could take another five years on top of that. “We have to know that solving radioactive legacy problems in one area doesn’t create another problem in another area of Russia,” he added. Bøhmer’s words strike a chord hit on by many Russian activists. The Mayak Chemical Combine is routinely cited as the most radioactively contaminated place on earth. In 1957, a radioactive waste tank at Mayak exploded, forcing the evacuation of 17,000 people. When the site began reprocessing fuel in 1977, the contamination only grew. Radioactive byproducts arising from the separation of plutonium and uranium have been dumped into local rivers and lakes. Cancer rates among the local population continue to rise. 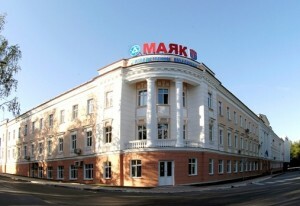 In a release, Mayak said it had been preparing for the Andreyeva Bay fuel for several years. Mayak chief engineer Dmitry Kolupaev said the site had modernized its storage facilities for damaged fuel rods and beefed up fuel transport security. He added that dealing with the ecological issues around the fuel removal had long been under discussion at Mayak, and that throughout the process, he and his technicians would gain valuable experience that would benefit other such projects that the government may undertake. Rosatom’s Grigoriev said the next shipment of fuel to Mayak will leave Andreyeva Bay in 2018. Andreyeva Bay had been piling up spent nuclear submarine fuel for more than two decades when its troubles began in earnest in 1982. That year, a crack developed in its now-notorious Building 5, a storage pool for thousands of spent fuel assemblies. 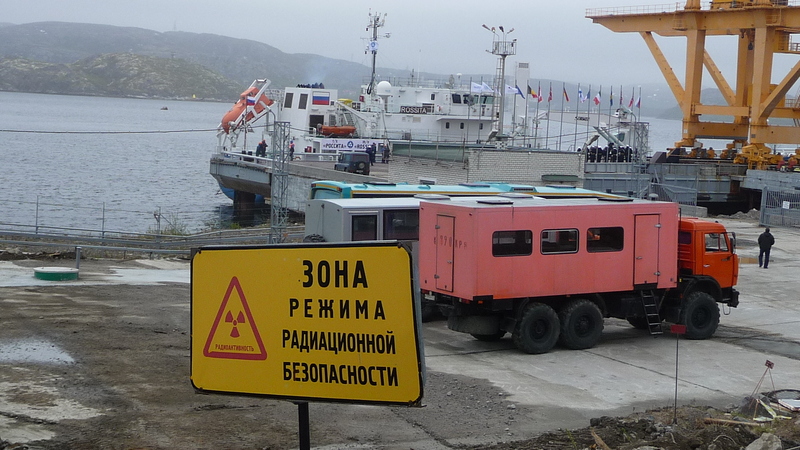 The ensuing leak threatened to dump a stew of plutonium, uranium and other fission products into Litsa Fjord, fouling the Barents Sea. The water was drained and the fuel painstakingly moved, but that revealed other problems. The fuel elements from Building 5 needed somewhere to go, so they were rushed into hastily arranged storage facilities that were supposed to be only temporary. The temporary storage solution has now spanned the last 30 years. Meanwhile the leaking radioactive water contaminated much of the soil around Building 5. It took the government years to catch up to the problem. In 1995, the Murmansk regional government paid it first visit to the secretive military site and, based on what it saw, shut down its operations. Five years later Moscow finally got involved, taking Andreyeva Bay out of the military’s hands and giving it to Rosatom. Finally, in 2001, an enclosure was built over the three storage buildings to prevent further contamination while technicians worked to remove the spent fuel and load it into cases. Roads were built and cranes were brought in. Personnel decontamination posts went up, along with a laboratory complex and power lines. A host of nations pumped funding into the burgeoning city whose central industry was safely packing up decades of nuclear fuel from Russia’s past nuclear soldiers. Starting in 2003, France, Germany, Japan, Italy, Canada and Great Britain, joined by Finland, Denmark, Sweden, and the European Commission pooled resources for a total contribution of $70 million over several years. But Norway has led the pack by far, contributing some $230 million over the past 20 years toward safely removing Andreyeva Bay’s spend nuclear fuel – a national movement spawned when Bellona published its first report on Northwest Russia’s nuclear hazards in 1996.